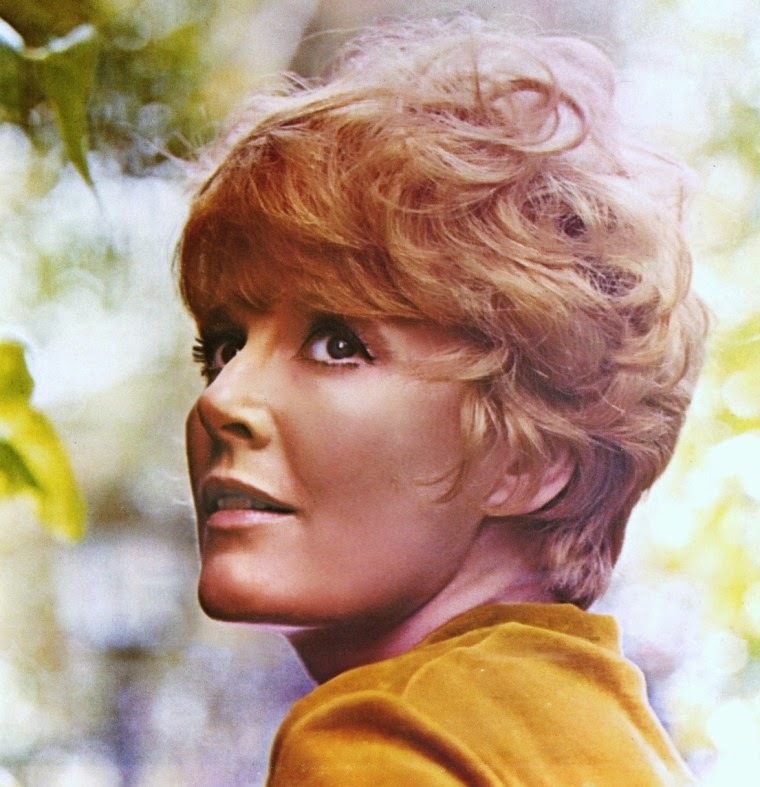 Here is a beautiful song from 1959 performed by the fantastic and inalterable Petula Clark. 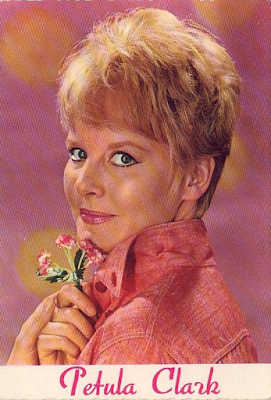 Petula Sally Olwen Clark (born in 1932) is an English singer, actress and composer best known for her upbeat popular international hits of the 1960's, especially "Downtown". With more than 70 million records sold worldwide, she is the most successful British female solo recording artist. She also holds the distinction of having the longest span on the UK pop charts of any British female artist — 54 years. In October 1942, she made her radio debut while attending a BBC broadcast with her father, hoping to send a message to an uncle stationed overseas. During an air raid, the producer requested that someone perform to settle the jittery audience, and Clark volunteered a rendition of "Mighty Lak a Rose" to an enthusiastic response in the theatre. She then repeated her performance for the broadcast audience, launching a series of some 500 appearances in programmes to entertain the troops. In addition to radio work, Clark frequently toured the UK with fellow child performer Julie Andrews. She became known as "Britain's Shirley Temple" and was considered a mascot by the RAF and the United States Army. In 1944, while performing at London's Royal Albert Hall, Clark was discovered by film director Maurice Elvey, who cast her in his war drama "Medal for the General". She then worked with Anthony Newley in "Vice Versa" (directed by Peter Ustinov) and Alec Guinness in "The Card". 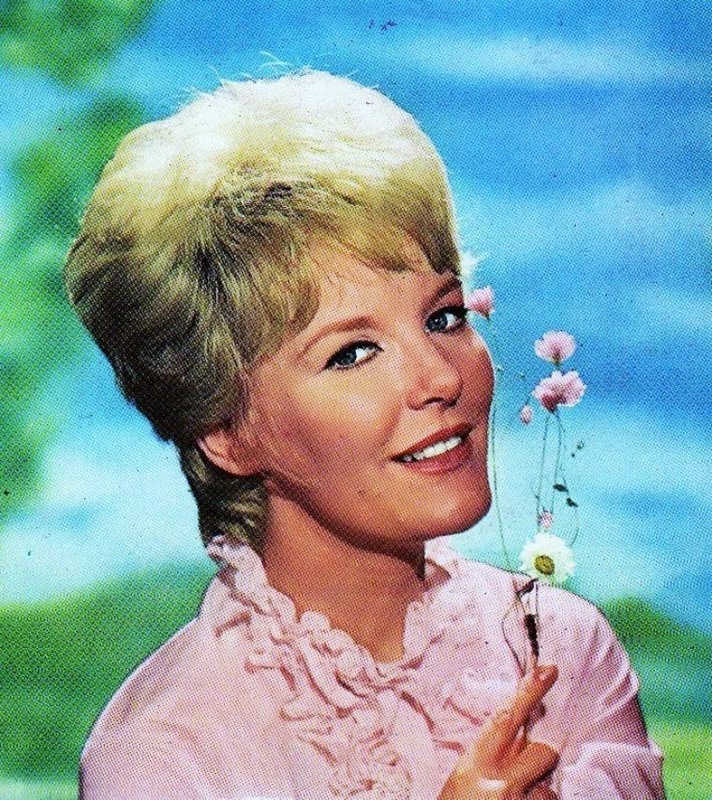 In 1946, she launched her television career with an appearance on a BBC variety show, "Cabaret Cartoons", which led to her being signed to host her own afternoon series, titled simply "Petula Clark". A second, "Pet's Parlour", followed in 1949. 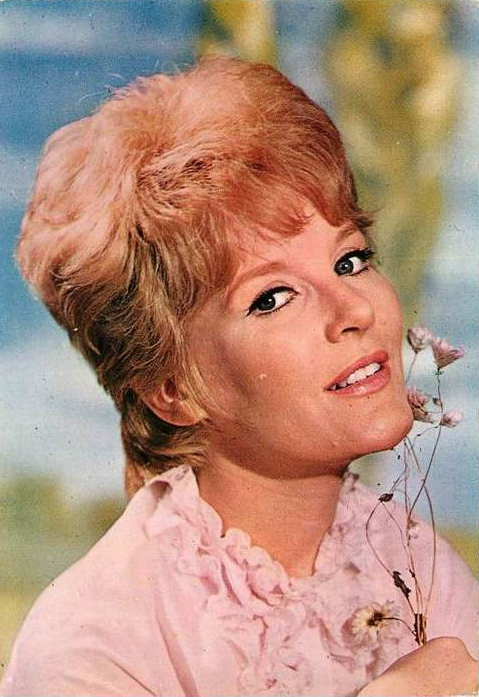 In later years, she starred in "This is Petula Clark" (1966) and "The Sound of Petula" (1972-74). 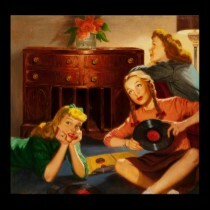 In 1949, Clark branched into recording with her first release, "Put Your Shoes On, Lucy", for EMI. 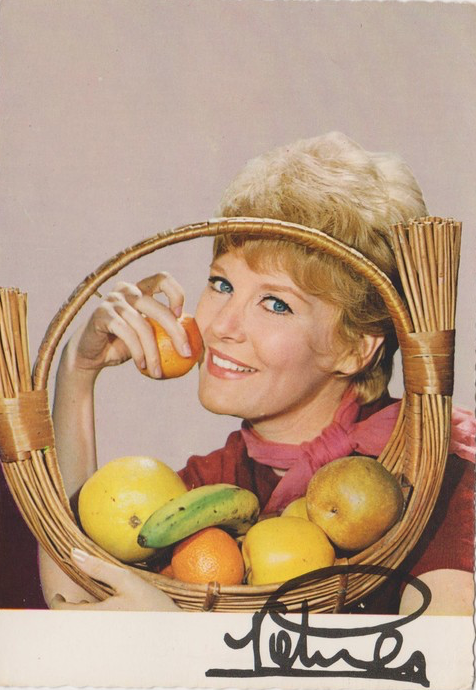 She scored a number of major hits in the UK during the 1950's, including "The Little Shoemaker" (1954), "Majorca" (1955), "Suddenly There's a Valley" (1955) and "With All My Heart" (1956). In 1958, Clark was invited to appear at the Olympia in Paris where she was received with acclaim. 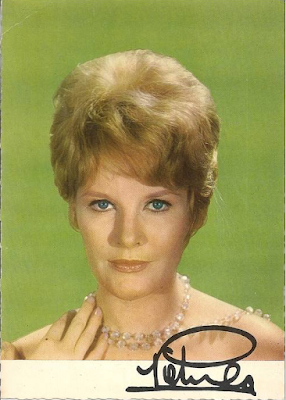 Her initial French recordings were huge successes. 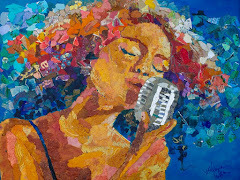 Gradually she moved further into the continent, recording in German, French, Italian and Spanish, and establishing herself as a multi-lingual performer. Her recordings of several Serge Gainsbourg songs were also big sellers. Released in four different languages in late 1964, "Downtown" was a success in the UK, France, Netherlands, Germany, Australia, Italy, and even Rhodesia, Japan, and India. "Downtown" went to number 1 on the US charts in 1965 and sold three million copies. It was the first of 15 consecutive Top 40 hits Clark scored in the US, including "I Know a Place", "My Love", "A Sign of the Times", "I Couldn't Live Without Your Love", "This Is My Song" (from the Chaplin film "A Countess from Hong Kong"), and "Don't Sleep in the Subway". In 2003, her recording of "Downtown" was inducted into the Grammy Hall of Fame. Clark's recording successes led to frequent appearances on US variety programs hosted by Ed Sullivan and Dean Martin, guest shots on Hullabaloo, Shindig!, The Kraft Music Hall, and The Hollywood Palace, and inclusion in musical specials such as The Best on Record and Rodgers and Hart Today. In 1968, NBC invited her to host her own special in the USA, and in doing so she inadvertently made television history. While singing a duet of "On the Path of Glory" with guest Harry Belafonte, Clark touched his arm: it was the first time a man and woman of different races exchanged physical contact on American television! Throughout the 1960's and 70's, Clark toured in concert extensively throughout the States, and often appeared in supper clubs such as the Copacabana in New York City, the Ambassador Hotel's Cocoanut Grove in Los Angeles, and the Empire Room at the Waldorf-Astoria Hotel, where she consistently broke house attendance records. Clark revived her film career in the late 1960's, starring in two big musical films: "Finian's Rainbow" (1968) opposite Fred Astaire (for which she was nominated for a Best Actress Golden Globe Award), and "Goodbye, Mr. Chips" (1969) with Peter O'Toole. Later stage work includes "Someone Like You" in 1989 and 1990, for which she composed the score; "Blood Brothers", in which she made her Broadway debut in 1993, followed by the US tour; and Andrew Lloyd Webber's "Sunset Boulevard", appearing in both the West End and US touring productions from 1995 through 2000. With more than 2500 performances, she has played the role more often than any other actress. In 2000, she presented a self-written one-woman show, highlighting her life and career, to tremendous critical and audience acclaim in Montreal. In 2004, she toured Australia and New Zealand, appeared at the Hilton in Atlantic City, the Hummingbird Centre in Toronto, Humphrey's in San Diego, and the Mohegan Sun in Connecticut, and participated in a multi-performer tribute to the late Peggy Lee at the Hollywood Bowl. Following another UK concert tour in early spring 2005, she appeared with Andy Williams in his Moon River Theater in Branson, Missouri for several months, and returned for another engagement in the fall of 2006, following scattered concert dates throughout the US and Canada. In November 2006, Clark was the subject of a BBC Four documentary entitled "Petula Clark: Blue Lady". "Duets", a compilation including Dusty Springfield, Peggy Lee, Dean Martin, Bobby Darin, and the Everly Brothers, among others, was released in February 2007. Clark was presented with the 2007 Film & TV Music Award for Best Use of a Song in a Television Program for "Downtown" in the series "Lost". In 1998, Clark was honoured by Queen Elizabeth II by being made a CBE (Commander of the Order of the British Empire). And here are 3 other beautiful performances!